Footage of General Allenby Entering Jerusalem, December 11, 1917. Survivors of Bergen-Belsen Sing Hatikvah Following Liberation. Amnesty International: “Strangling necks,” Abductions, Torture, and Summary Killings of Palestinians by Hamas Forces During the 2014 Gaza/Israel Conflict. Israeli Military Equipment Used by the U.S.
3/4 of US Senators pen letter to John Kerry pledging not to support Palestinian aid until US reviews ICC bid. Lee Zeldin was born in East Meadow and grew up in Suffolk County, New York. He graduated from William Floyd High School in Mastic Beach. He earned his bachelor’s degree from the State University of New York at Albany and then his law degree at the age of 23 from Albany Law School, becoming New York’s youngest attorney at the time. Zeldin spent four years on Active Duty with the U.S. Army and served in different capacities including as a Military Intelligence Officer, Federal Prosecutor and Military Magistrate. In the summer of 2006, while assigned to the Army’s elite 82nd Airborne Division, Zeldin deployed to Iraq with an infantry battalion of fellow paratroopers in support of Operation Iraqi Freedom. In 2007, Zeldin returned to Suffolk County with his family. It was at this time, he transitioned from Active Duty to the Army Reserves, where he currently serves with the rank of Major. He then established a successful law practice in 2008 and ran unsuccessfully for a seat in Congress. Two years later, he won a seat in the State Senate. Zeldin successfully fought to repeal the MTA Payroll Tax for 80 percent of employers. This was a job killing tax that was hurting small businesses. He also successfully repealed the Saltwater fishing License Fee and secured funding for the PFC Joseph Dwyer Program, a statewide program to help our returning veterans cope with Post Traumatic Stress Disorder (PTSD) and Traumatic Brain Injury (TBI). He sponsored legislation to enact the nation’s strongest property tax cap and also helped reduce middle income tax rates to the lowest level in 60 years. Zeldin also wrote the law that protects our fallen veterans and their families from protests at military burials. In 2014, Zeldin avenged his earlier defeat by beating incumbent Tim Bishop for the 1st congressional district. He was reelected in 2016 and 2018. Immediately after taking office in 2015, Zeldin quickly became a leading voice in America on the need for a stronger, more consistent foreign policy; outspoken on the need to defeat ISIS and other terrorist threats, secure our homeland, and correct a deeply flawed Iran nuclear agreement. During his first term in office, Zeldin secured important victories for his district. 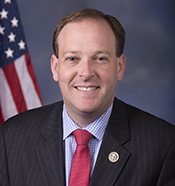 Working with both sides of the aisle, Congressman Zeldin got several of his proposals passed in the House, some of which include: three bills for our veterans, two proposals to save Plum Island, and his counter-terrorism legislation. Congressman Zeldin helped pass a five year, fully funded transportation bill that included his Safe Bridges Act proposal, which was signed into law, and also got his common core amendment passed and signed into law. He also secured a new veterans health care clinic on the East End of Long Island and permanently reauthorized the Zadroga Act for our 9/11 first responders. Additionally, Zeldin helped make permanent 20 different tax relief provisions to help Long Island businesses and families. Zeldin serves on the Financial Services and Foreign Affairs committees. He also serves on five House Subcommittees. Zeldin is one of two Jewish Republicans in Congress and serves as co-chairman of the House Republican Israel Caucus.